Hats Off to Our Supportive Services for Veteran Families team! 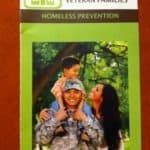 Supportive Services for Veteran Families (SSVF) is a VA program that helps Veterans and their families who are experiencing or are at risk for experiencing homelessness. 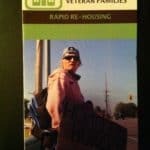 The Rapid Re-Housing program provides services for Veterans and their families who are currently experiencing homelessness. It assists with finding housing, determining benefit eligibility, finding employment, and helping with security deposits. Homeless Prevention works with those families who, due to financial difficulties are behind on rent or utilities, are in danger of losing their home. St. Francis House SSVF currently serves an average of 200 families a year, and that is expected to increase to 275 families in the coming year. St. Francis House has been a part of providing these services since Oct. 2012. The original grant served three counties – Pulaski, Lonoke, Saline, and Faulkner. Since then, the St. Francis House program has continually expanded. Beginning this month, we will provide services for fourteen counties in Arkansas: Pulaski, Lonoke, Saline, Faulkner, Jefferson, Garland, White and our newest additions- Benton, Washington, Madison, Arkansas, Conway, Hot Springs and Grant. This latest expansion includes a satellite office in Fayetteville and the addition of three new staff positions. For more information on these programs, please call St. Francis House.